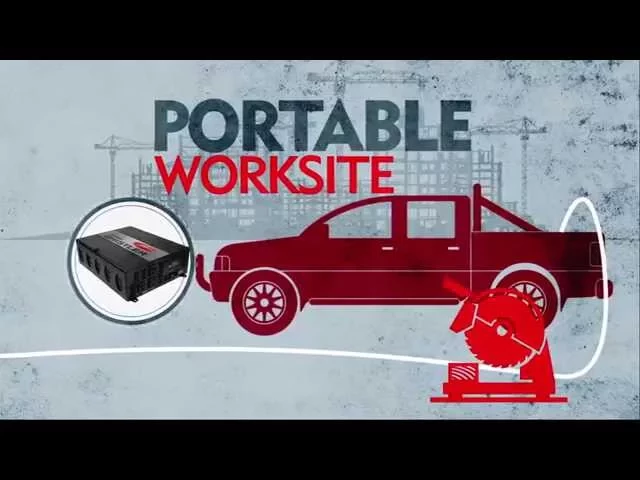 Power Inverters: Household Power on the Go! A power inverter changes DC power from a vehicle battery to AC power that can be used to operate many electric devices. Power inverters can be installed in almost any vehicle and can be used to operate computers, printers, chargers, lights, appliances, power tools, and much more! Key differences between different inverters is how much AC power they can actually produce. The inverter you need is dependent upon what you plan to use it to power. A hot glue gun or a laptop will only need roughly 50 watts of power (a smaller inverter) while an electric tool, such as an electric circular saw, will need roughly 1700 watts of power (much bigger inverter). Most inverters will need to be wired directly to the battery in your vehicle and can be mounted under the seat, in the trunk, or anywhere you would like! Call us at 405-848-8656 to speak with one of our specialists to see which inverter is right for you and to set up your appointment for installation!